These last Glaminars of this year, will be the last of the Glaminars... they take a lot of work, time, and stress to plan...not to mention the travel...and once my cupcake is here I will not be able to do the Glaminars anymore. I want to be able to spend every moment with my little cupcake when she gets here! I will really miss doing the Glaminars, but just so you know, these last Glaminars, I will be pouring my heart and energy into so much to make them AMAZING!!! I pray that they will continue to not only change people's lives, futures and hopes, but change hearts that will never be the same! I love them and I can't wait to meet you all that will be there! each venue has a limited number of seating and gift bags~ so sign up quickly, it's on a first come, first serve basis! huge love from your kandee and I hope to get to meet you and hug you at one of these final Glaminars! sad! you havent even came to ALASKA! :( but CONGRATULATIONS TO YOUR CUPCAKE. Family always comes first. Take care love! It's so close to LA you have to come! :) Please let me know the date so I can request the day off!!! Please please please San Francisco!! U inspire me sooooo much. Please try to fit in San Francisco. I cant make it anywhere else between Fulltime College Student, Fulltime Job, && Fulltime Single parent! soooooo please try and fit in San Francisco! Your so amazing I wish you were coming to Utah. I would love to go to Vegas to one. I wish you all the best Your such a sweetheart and deserve the best. SAN FRAN!!! I WILL BE THERE!!! PLEASE COME TO S.F!!! If you were to have one in either San Francisco or Reno...I would hope that I would be able to attend. Each is just a hop, skip, and a jump from me!!! I hope you are able to do one. Reno reno reno!!! I have tons of friends and a very excited sister dying to go!!! I am dying for you to come to SF! I have already started saving money ( in my head. 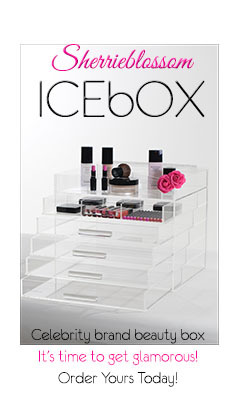 I NEED this Glaminar so bad!! Please at least come to some where in Northern CA. I may even travel to Reno for you!! Another vote for San Francisco! Awww Kandee! I loved the video...it made me tear up a bit. I haven't been to any of the Glaminars and I won't be able to make it to the remaining ones, but I am soooo happy that you have touched so many people with your happiness, positivity, and the brightness that surrounds you. Wish I could have been there! See you on the 25th in NYC! I will come to the Reno Glaminar definitely! And I'm pretty sure my mom will be coming also. San Francisco please!! But let us know soon. If its not SF I can go to LA. Reno or San Fran please if its possible! :) but please don't strain yourself, Kandee videos are better than no Kandee at all! When i heard u post San Francisco! I got super excited i been dying to go to one of your Glaminars!!! Ive seen your tutorials and your amazing! You have inspired me so much and i would love for u to come to San Francisco! Hope everyone that has the priviledge of making it to one enjoys every second!! Good luck with your sweet cupcake!! PLEASE consider coming to Las Vegas instead of Reno! Please please please! There are so many girls here who want to see you! RENO RENO RENO!!! But san fran is only 5 hours away so that would be cool too! please please please please please come to san fran!! my aunt told me she's pay for me to take your class. i'm 21, about to be an elementary school teacher, i'm passionate about makeup and could really use the extra money from starting a side business. your class would be the jump start i need! Please, please come to SF! I will be there for sure!!! San Fran Please!!! I will drove up from Sacramento! Hello, i'm french and i don't speak english very well, but i look at you on internet every day. You are so wonderful, joyful, positive and incredibly beautiful. You are a present of God which makes us happier and more beautiful. I hope that I am not ridiculous and that what I have write is understandable. Congratulations for " the small feet " (we say that in France for the future babies). I'd love to come to Glaminar but I live in Italy! I would come just for meet you and not because I want to be a MUA! You are amazing! i'm really glad you're coming to the uk! i live in scotland but i will try so so so hard to be in london on the 23rd!!! i love you kandee you are such an inspiring girl! Kandee, let me first say that I absolutely adore you! You have inspired me in ways that no one else has! I'm actually gonna be in New York the same time that you are, on vacation with my mom. If there is any way that I can meet you for literally 2 seconds to take a picture that would be awesome! I would come to you wherever you are lol I know you're super busy with the Glaminars. If you would email me pleaseeeeeeee and let me know!!! I love you Kandee Johnson! I'm so sad this morning, because I wanted to attend your glaminar in Toronto (I'm from Quebec!) but I won't be able to, because I'll be working doing...make up on a play that week-end!!! This is all because of you, you changed my life! I'm a mom and book keeper!!! But a year ago I found you and also found my labor of love!!! So thank you so, so much for being there. LA!!!!! YAY!!!! I was so sad that you were going to stop doing your Gaminars before I even had a chance to attend!! CANT WAIT!!!!!! I hope you can do SF or reno either one I will attend for sure now that you will not be doing them anymore..I HOPE I HOPE you can do at least one of those cities..I will be their just waiting for you to post it on your website so I can purchase my ticket! I hope I hope you can do either City SF or Reno I will attend whatever when you choose Im just waiting for you to put it up on your website...Oh my god I cant wait to go So glad you are coming my way either city I'm Their!! Yeah! Please come to San Francisco!! I would be interested in either SF or Reno (I'm in between both cities)! Thanks for your inspirational messages Kandee! I am definitely coming to the LA one!!!! YOu should come to the west part of the US..lol..like El Paso, TX or like New Mexico...I would luv to go!! 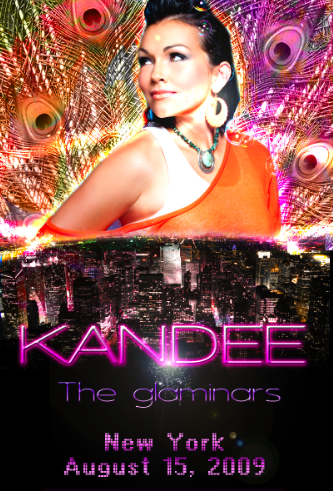 Kandee please come to SF! I think a lot of people...me included :) ... would love for you to come here! If you went to San Francisco that would make my life. I am VERY interested in attending a glaminar in San Francisco. Please. Please. Please come to SF!!!! LOS ANGELES! I would attend. Hey kandee!! I miss you so much! For some reason I can't get the glaminar website to come up. also, I heard from some of the Pasadena girls that you may be offering a disc to come to additional glaminars, if we already paid the initial amount. Is that true? I'm trying to sign up, but the site doesn't let ME! Help !help! Help! I Don't want to miss this! do we really get our makeup artist certification by attending glaminars? I am so going to the LA one!!! I cant wait to finally meet you!!! Kandee....you should add San Fran! and I'm not even in Cali! Shout out to SF Kandee Team! YAY!!!! SAN FRANCISCO!!! Where do I find pricing?? You should add NC, VA or TN. Best wishes with your bundle of joy. Kandee I think u should repost the video explanation of where the glaminars $$ goes, some ppl Don't understand!! Ah! I bought my ticket for LA, I'm SO EXCITED!!! I've wanted to meet you forever Kandee and I will gladly work for free if you need any help with the preparations! You need to take extra special care with your cupcake after all! PLEASE COME TO AUSTRALIAA!!!!!!!!! <3 xo.